Tell the story from Acts 3 and get students to bring the story to life with this craft kit. 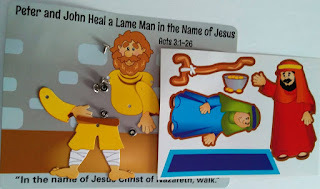 Motto: Peter and John heal a lame man in the Name of Jesus. 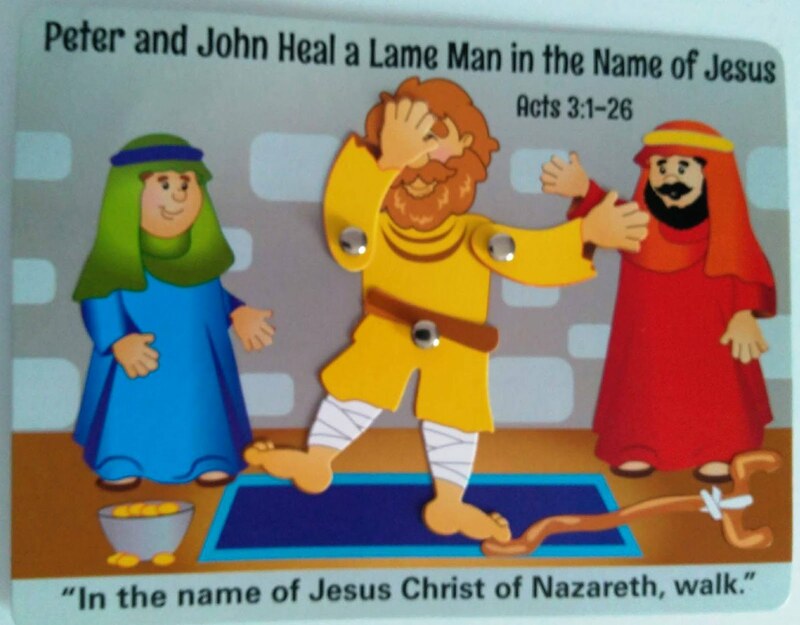 Acts 3:1-26. "In the name of Jesus Christ of Nazareth, walk." Cardstock, stickers and metal brad.